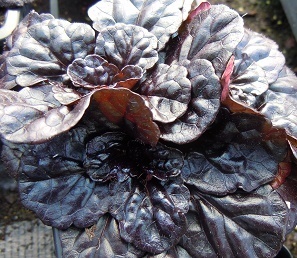 A striking new variety with rich dark glossy leaves which form spreading mats. Blue flowers appear in Spring on short stems which are attractive to bees and butterflies. Will grow in most normal soils in sun or light shade. 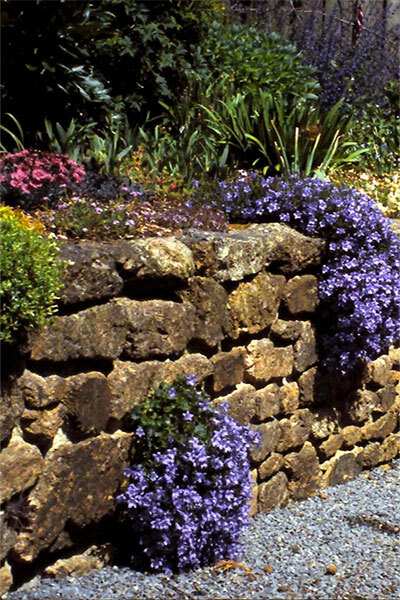 Good for providing ground cover and particularly good when underplanted with bulbs. Leaf height: 5cm, flowering height 10-15cm.